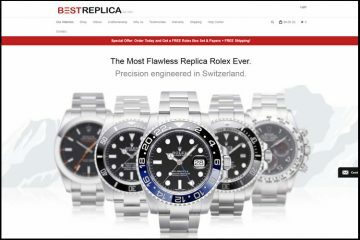 If you are looking for an online replica seller of very low price replicas then FobReplicas.com seems to be a great pick. 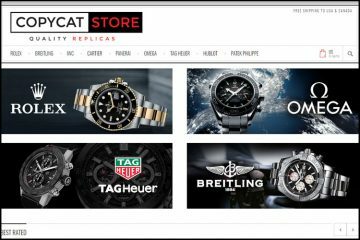 As we very well know, on the Internet and especially on the fake watches market, appearances can be very deceiving so let’s see how trustworthy this website really is. 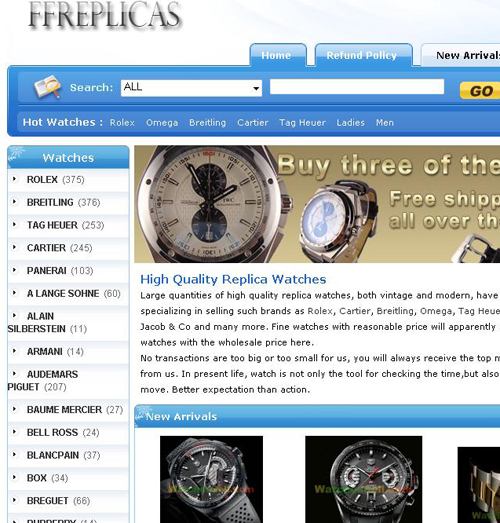 The full list of available watch brands is presented in the left side of the page. There we see the very impressive selection of luxury watch names gathered from around the globe. From Rolex to Titoni, you will surely find your all-time favorite designer watch or at least something very similar. After all, let’s not forget that we are talking about replicas. I have also noticed that the prices are surprisingly low. For example, the imitation watches equipped with an automatic Japanese movement cost about $70-$80 while the ones that have a Swiss ETA mechanism are $200-$250. Please note that the Swiss replicas are only available for the Rolex brand. The other brands offered by Fobreplicas.com are available only with a Japanese movement. I was delighted to see that the product description page is very well made and detailed. It does manage to offer a quite suggestive and clear idea of the quality you will be receiving if you purchase one of these imitation watches. 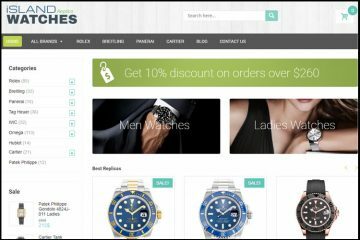 Fobreplicas.com ships packages to all countries around the world and the delivery fee is $20 for the first watch. Any additional watch means an extra $3 to the delivery costs. The packages are shipped with DHL, USPS or EMS and a tracking number is provided. The usual delivery time is about 8-14 business days. Each time I come across a website that looks as rudimentary and unaesthetic as Fobreplicas.com does, I feel totally discouraged about its potential as a reliable supplier of high quality replica watches. How can I trust that it has the qualities and capabilities of a well-established online business when its main e-store looks like it has been designed by someone who lacks both experience and skills? Its website is white and blue with very blunt buttons and bars. Even the banners look incredibly old fashioned and ungraceful. I definitely do not like this poorly designed webpage and I seriously recommend them to reconsider its looks if they intend to ever become a serious competitor on the replica market. Browsing through the collection is not that easy and smooth. First of all, the brands are not divided into sub-categories and there is no Advanced Search option or Filter to sort the products by particular specifications. If you are looking for a certain Rolex model then you will just have to browse through all its 16 pages stuffed with various Rolex replicas. Judging by the bottom of the website, the company is able to process Visa, Mastercard and Western Union payments. As for the numerous other replica websites out there, this is false. It is an incorrect information intentionally posted on their website as to convince you that the company is professional and easy to order from. The truth is that after Checking Out, in the Order Form you can only select Visa as payment method. This is the only supported payment option. So if you do not have a Visa card then do not even bother wasting your time with this website. Interesting enough is the fact that any customs fees are the customer’s responsibility and also the customer is the sole responsible for the safe delivery of the package. The company cannot reship the order if it is seized by customs or lost during shipping. This replica company offers a 14 days refund or exchange policy. Pretty neat, isn’t it? Still, there is always a catch and for this store there are way too many. First of all, you can return the product only if it is totally different than what was advertised on the website. Secondly, the initial shipping fee will not be refunded. Thirdly, the return shipping costs need to be paid by the customer and fourthly, a 15% restocking fee will be charged. These are just too many downsides for my tastes and if you ask me it just isn’t worth the hassle. Pictures: Most pictures posted here are original photos copied from the websites of the real companies while other photos are of a noticeable inferior quality, but they still seem like professional catalog pictures. The problem is that from replica to replica the style and quality of these images varies. Clearly, these photos are gathered from different sources and combined with the intention of fooling the inexperienced online shopper who is looking for a low cost replica. However, I am positive that if you order from this place you are very likely to receive a totally different product, an inferior one that is. Also, all images have the watermark of a different company ”WatchesSell.com”. This is probably the former domain name of Fobreplicas.com which means that if it has been shut down once it is very possible for this to happen again. Summary: Fobreplicas.com is far from what I like to call a liable online replica store. It seems the exact definition of a very shady and unworthy supplier of fake timepieces. 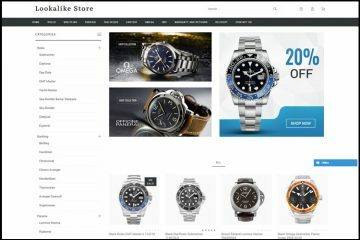 The main concerns I have regarding this imitation website are its copied product photos and its unreachable and unprofessional customer service. To these downsides I would also add the lying about accepting Mastercard and Western Union payment that are actually not supported as well as the very unfair return policies. In the end it all comes down to: better safe than sorry. i received in 14 days, but is was not what i ordered,, they sent me a man’s watch..i wanted a ladies… i have no way of follow up, no return address, site has closed down… no return address. i am stuck with a fake watch which i knew i was getting, but a man’s watch… what do i do now……. i do have an email saying they were sending it ..i reply to the address,, but no answer,, sent copies of all transactions………….. WHAT IS NEXT.. I FEEL LIKE A TOTAL FOOL… I KNOW IF IT IS SOUNDS TOO GOOD FORGET IT…. BUT I GUESS I DIDNT ALLOW MYSELF TO THINK I WAS REALLY STUPID……………………… WHAT DO I DO NOT ????????????????? ?